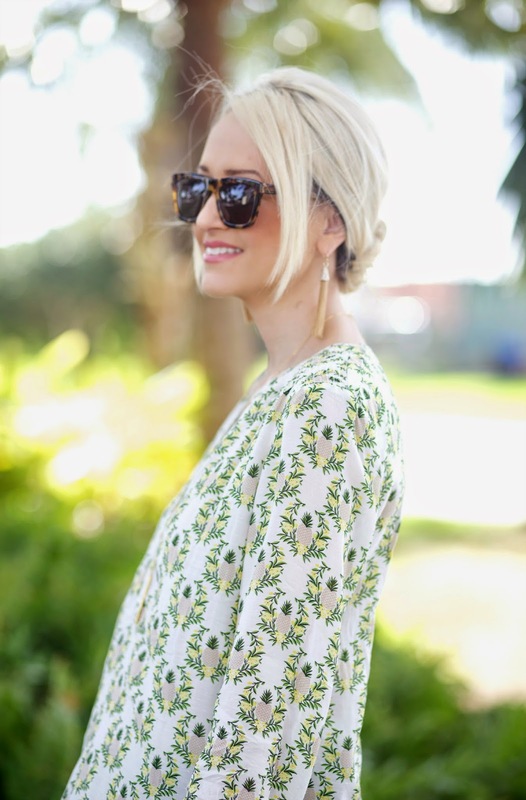 Pineapple prints always seem to be popular this time of year and I love this pineapple print top. I love that it is a subtle pattern and doesn't scream PINEAPPLES! I feel comfortable wearing this on a normal day. SOmetimes I think some of the pineapple patterns can be a little much to wear on a regular basis. So I love this more subtle option. I have to agree! !Even during pregnancy she was gorgeous!! Omg that top looks super cute! What a fun top! I really love the sunnies too! This is the perfect early spring look! 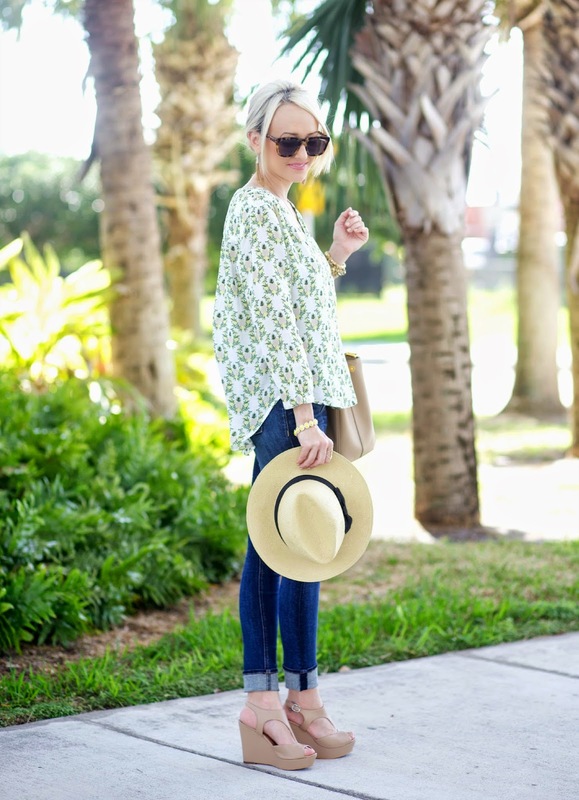 I love that top paired with the distressed denim and wedges! Gorgeous, Jade!! haha PINEAPPLES! you're right, this is subtle and cute! 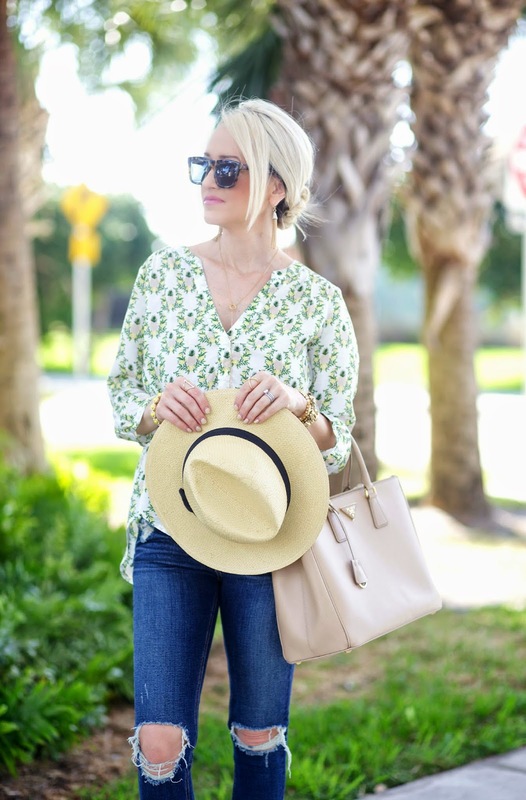 I love to wear these kind of blouses and this one is so pretty and has a great pattern! Such a pretty and fun top! Love the print so much! You sunglasses are beautiful - where are they from?? Those jeans look so familiar! Did you get them from www.fixateboutique.com? I have the same exact pair of jeans that I got from there! 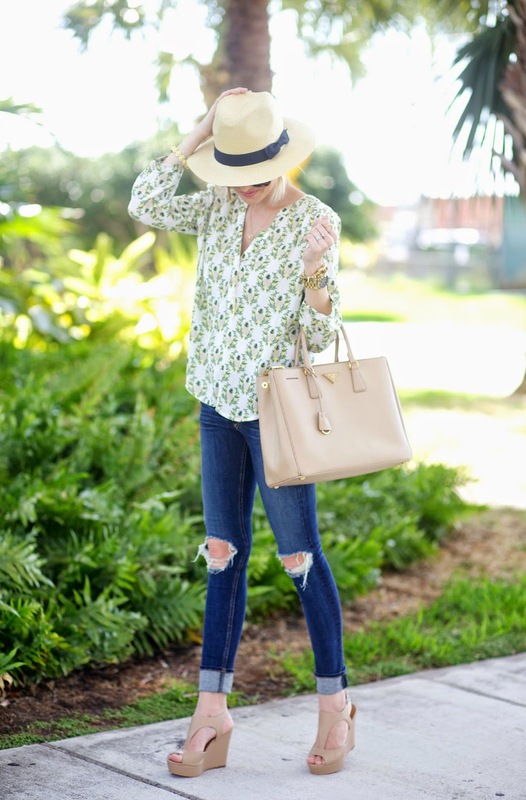 Such a pretty spring style! I love it! I loveeee that top! Especially combined with the neutral accessories. I think this look is so cute and very summery. I love the subtleness of the pineapples on the top too. Its cute but not in your face. This print is so fun and you look gorgeous! I love how subtle the pineapple print is. So pretty! Love this Jade! 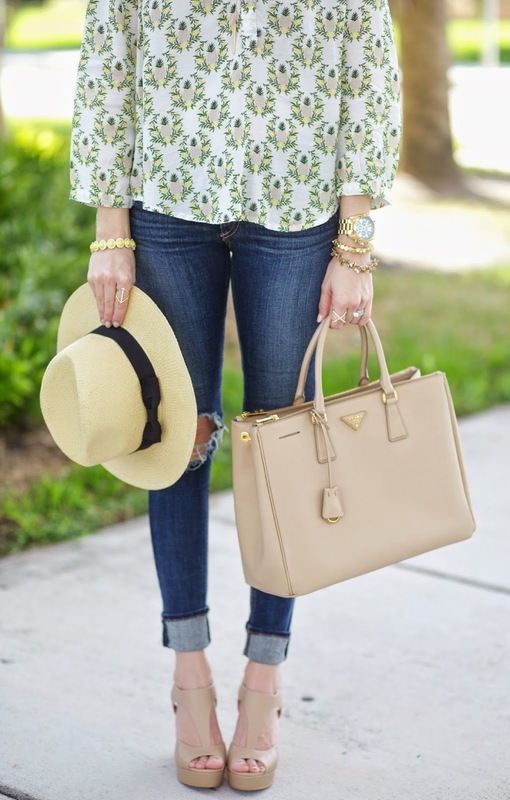 And you're totally right, it can be worn everyday without feeling too "pineapple-y"
Love the relaxed vibe of the cute pineapple print top and very chic accessorizing too, awesome! I love this look! Perfect for the upcoming Spring and Summer months! Fab shoes! So cute! Love your hair like this too. This is ADORABLE Jade! These jeans are absolutely gorgeous on you too - great fit!